​ WHO WE AREThe Teaching Support Staff Union (TSSU) has been an independent, non-hierarchical feminist labour union since 1978. We represent the Teaching Assistants, Tutor Markers, Sessionals, and the English Language & Culture/Interpretation & Translation Instructors (ELC/ITP) only here at Simon Fraser University. Our current Collective Agreement runs from May 1, 2014 to April 30, 2019. All Members Welcome at Bargaining Sessions! Two Sessions of Bargaining with the University Done! 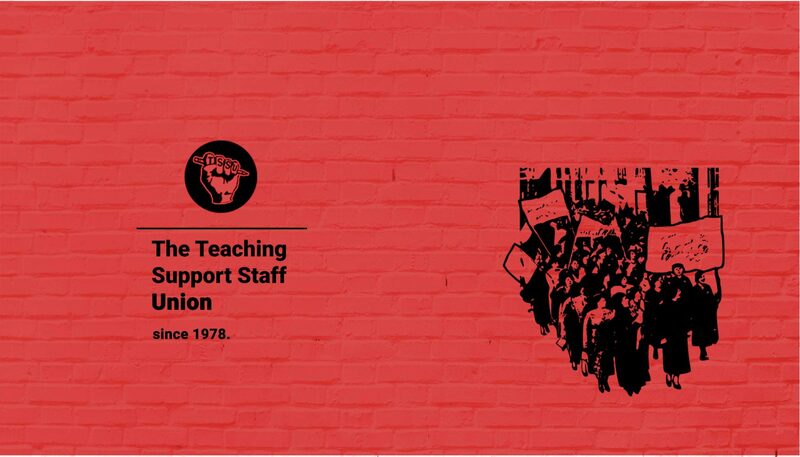 The Teaching Support Staff Union (TSSU) has been an independent, non-hierarchical feminist labour union since 1978. We represent the Teaching Assistants, Tutor Markers, Sessionals, and the English Language & Culture/Interpretation & Translation Instructors (ELC/ITP) only here at Simon Fraser University. Our current Collective Agreement runs from May 1, 2014 to April 30, 2019.